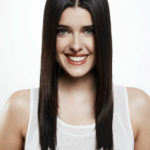 Our master stylists are known for their flawless, healthy hair extensions. We offer a range of extension brands including Great Lengths, the market’s premier brand of highest quality 100% human hair extensions. 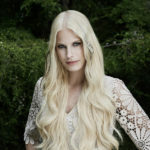 Offered in lengths of 8”, 12”, 16”, 18” & 24” standard lengths (longer lengths available by special order) Kashmir Great Lengths (straight) & Sun FX Great Lengths (ombre) are also available. Our artists are also certified in Shrink Links, Hairdreams, Dream Catchers, SoCap, Integration Hair Pieces for hair loss and Halo Couture. ome in for your complimentary consultation to discuss your desired length, thickness and cost. Your hair will be instantly transformed with gorgeous, healthy locks that will be the envy of everyone you meet!